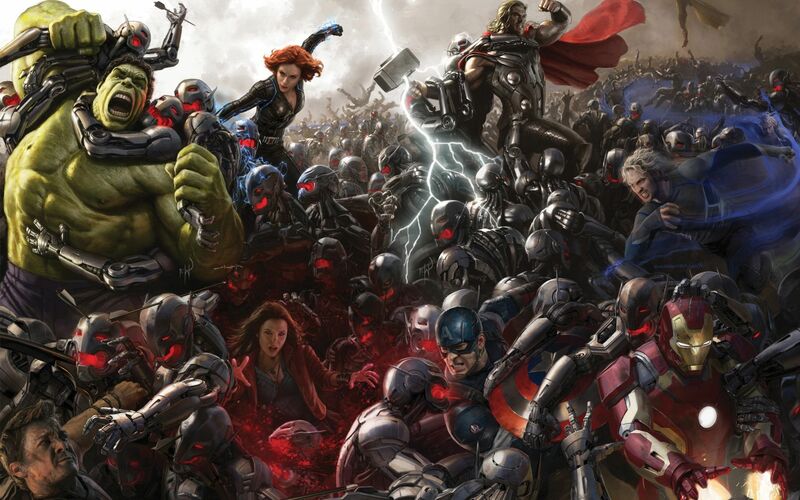 Ultron is one of more deadly foes that the Avengers have had to come up against in their history. With his ability to upgrade himself physically, while keeping his consciousness the same, leads to him having a total of 20 iterations of his physical body. Originally created by Hank Pym when experimenting with high intelligence robotics, Ultron becoming self aware and quickly rebelled against Pym then brainwashed him into forgetting he ever created him in the first place. Upon successfully convincing Pym he didn’t exist, and escaping the lab, Ultron immediately began working on upgrading himself. 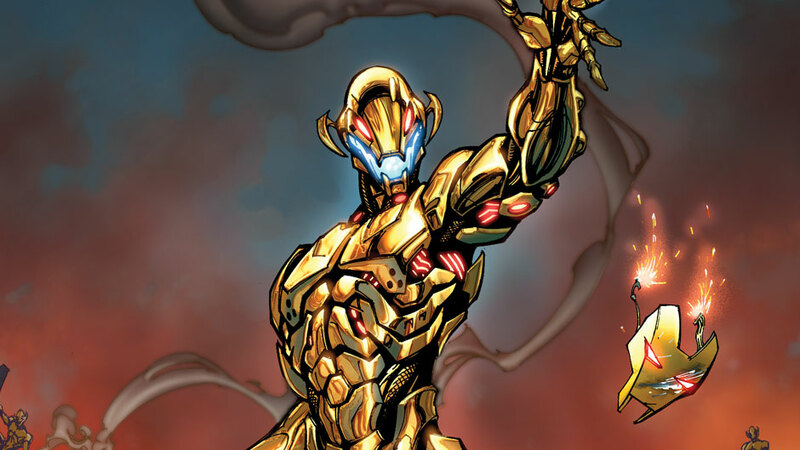 After 4 physical upgrades, he became a more humanoid form as Ultron-5. Realizing his goals will only be obtainable by ridding the universe of the Avengers, he sets out to recreate the Masters of Evil, a group of powered people who avidly oppose the Avengers. However, after 6 months of failed attempts, Ultron kidnaps the Human Torch android inventor Phineas Horton and they set out to work on creating Vision. Vision was intended to be the final blow to the Avengers. However, Vision ends up betraying his programming and joining the Avengers against Ultron. Ultron continues to upgrade himself in the shadows whenever it becomes necessary, going as far as to create a new version out of Adamantium as Ultron-6. Ultron possess the standard compliment of super speed, strength, durability, and the ability to fly. He also has the ability to shoot energy blasts from his hands similar to that of Iron Man. He can utilize a type of tractor beam, as well as an encephalo-beam which can plant thoughts or commands into the minds of others. 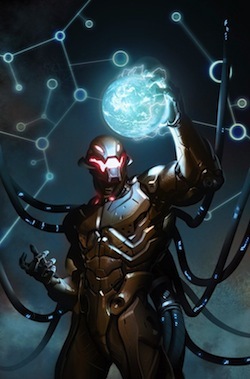 In the Age of Ultron comic book series Ultron has, after years of upgrading, taken over the world; and with his robotic minions he kills any human on sight. After realizing the only way to stop the inevitable genocide of humankind is to go back in time, Wolverine and Sue Storm travel back in time to alert Hank Pym of what the future holds with his Ultron creation. Hank Pym decides to build in a back door into Ultrons code as to allow the Avengers to destroy him. While we have seen a bit of the content from this series in the trailers, I highly doubt the movie will borrow a whole lot from Age of Ultron comic series since it relies on far too much other marvel universe tie-ins, that we just don’t have in the MCU at this time. Age of Ultron (Movie) has the creator of Ultron shifted from Pym to Stark. This is most likely due to our total ignorance of Hank Pym as far as the MCU is concerned so far. Also it might lend to a greater exaggeration of the reasoning behind the upcoming Civil War movie. With Tony creating AI that wants nothing else but to kill every human, and a slew of powered people running around, the lead up to Captain America: Civil War is looking very strong. Ultron is such a pervasive character in the Avenger story arcs that it is going to be very interesting to see how they deal with him at the end of Age of Ultron. He is very much like Vision in that he “dies” quite often, but is then reincarnated or rebuilt. As far as the trailers are concerned, we see him creating what could be considered Ultron-6 with his Adamantium (or Vibranium) body which would make him quite indestructible.